Rendered by Kai Hoffman, the Samsung Galaxy S5 Prime is a metal premium version of the Samsung Galaxy S5. This type of handset has been rumored for a while now and it may become real pretty soon. That would obviously make the buyers of S5 models angry, because they maybe would have liked to buy the metal version. 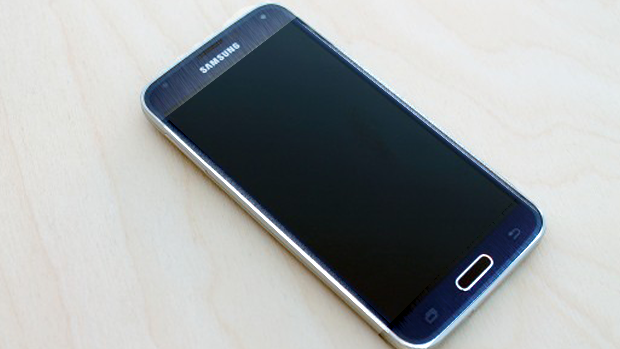 There are also slight upgrades of the Galaxy S5 Prime, including a bigger screen, with a higher resolution. This device weighs 151 grams, measures 8.4 mm in thickness and features Android 4.4.2 as the OS. The screen is a 5.25 incher with a 2560 x 1440 pixel resolution and Super AMOLED technology. At the back there’s a 16 megapixel shooter with dual LED flash and 1/2.6 inch sensor. OIS is here as well, plus 4K video capture and a front 2.1 MP cam. Inside we’ve got a Snapdragon 805 CPU, a quad core one with Krait 450 cores, as well as an Adreno 420 GPU. 3 GB of RAM, 16 GB of storage and a 3000 mAh are included as well. The design hasn’t changed very much, but the phone looks a bit more beefed up. Fancy a metal Galaxy S5 with 2K display?